Today on The Twelve Makers of Christmas, we continue our lovely line up of crafts, gifts and products all being shared by lovely makers who have popped over to Crafting a Daydream for some Christmassy nattering. We are joined by Smita all the way from India! Lets get settled for the interview. What is your favourite Chritmas tipple? I am Smita Joshi. I am originally from a small town called Dapoli, in India. Now I live in Gurgaon with my loving husband. I am an engineer by education. During the final year of my master’s studies, I realized that more than anything else, it is the crafting that brings me immense happiness and contentment. That is when I decided to take diversion in my career. Better late than never, huh? This is the story behind the start of my crafting venture called ‘Something Different’. It is still in nascent phase and I am really very happy about it. It’s going great so far. Yey! 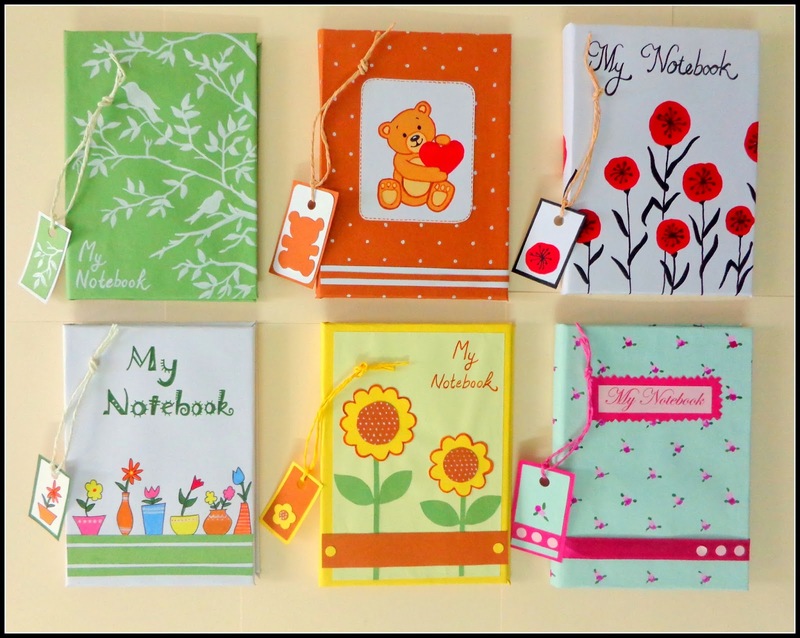 These are handmade, personal diaries/journals. They are hand sewn, hand bound journals. They have blank pages so there are absolutely no restrictions on what you want to use them for. One can make sketches in them, or doodle, or write poems or note down delicious recipes…umm anything. I like to make the covers vibrant and colourful, so that just one glance at these journals would bring smiles to their users and would make them wanna do something creative. I myself have a habit of sketching rough ideas of my crafts in notebook/diaries, sometimes noting down some nice quotes too. That was what led me to making these blank and handy personal journals. How long have you been (insert method of craft used to made item) and how did you learn? I have been crafting since I was a little girl. As a hobby, I used to make birthday cards, photo frames, sewing some purses, dresses, and so on. My mom and my sister introduced me to these things. That time my crafting experiments were limited to myself, my family and friends only. I have never taken any crafting lessons as such. But I did take some art lessons during my schooling. My art teacher indeed helped me learn about the colours better. Ummm no. As of now, my bedroom is my workplace. So obviously it is always messy :D I must really thank my sweet, loving husband for never complaining about mess. :D I would love to have my own working studio in future. Where can the Crafty B’s find you online? Yes. Lots of big plans. I intend to launch my commercial website in New Year. Also I want to get started with sewing and perhaps knitting again and make more and more cute crafts. We hope you will come back and say hi when you have launched! What will you be doing this Christmas? Being Hindu by religion, we do not have much traditional Christmas celebrations at home (This might answer for my little knowledge about those Christmas delicacies you asked me about earlier.) But we do have Christmas holidays and I would be happily spending them with my family as always. It brings holidays!!! :D well, for me, Christmas means something really joyous; a festival that brings out the kid in you. Things like decorating the Christmas tree, nice family get-together, and of course waking up on Christmas day to find lots of gifts just for you, are really fascinating!! … a cute, flowery work-desk item that my study-buddy gave me when I was in Germany last year. …we do prepare some special dinner on Christmas holiday consisting of some Indian delicacies mainly. Most of times, we make ‘pav-bhaji’ (My all-time favorite Indian dish) and ice-cream!! …Walking in a Winter Wonderland. Smita, it has been an absolute pleasure. Wishing you very happy holidays and good luck for 2015!